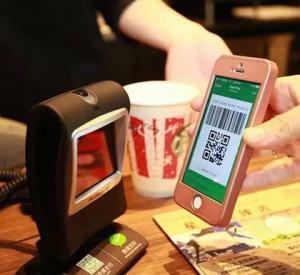 Despite Launch of Three Major ‘Pays’ in Taiwan, Visa Plans to Also Support QR Code Payments on Island | NFC Times – Near Field Communication and all contactless technology. Major payments card networks, such as Visa, are adding support for QR code payments, as they see QR code-based payments services as a growing threat for in-store transactions. NFC TIMES Exclusive Insight – Visa says it plans to support QR code-based mobile payments late next year in Taiwan–a market where all three major “Pays” wallets have launched supporting Visa-branded cards with NFC. It’s perhaps the first developed, rather than emerging, country where Visa has announced plans to enable QR code-based payments. That could be because Visa does not want to be left behind if QR code-based payments continue to grow stronger in Taiwan. Visa has supported mobile payments using QR codes in such emerging markets as India and Thailand, among other countries, including in Africa. The network later joined with other major networks to standardize QR code technology in India and Thailand. And EMVCo, a joint venture owned by Visa and five other global payments networks, is drafting specifications for QR code-based payments globally. Article has about 1040 words.